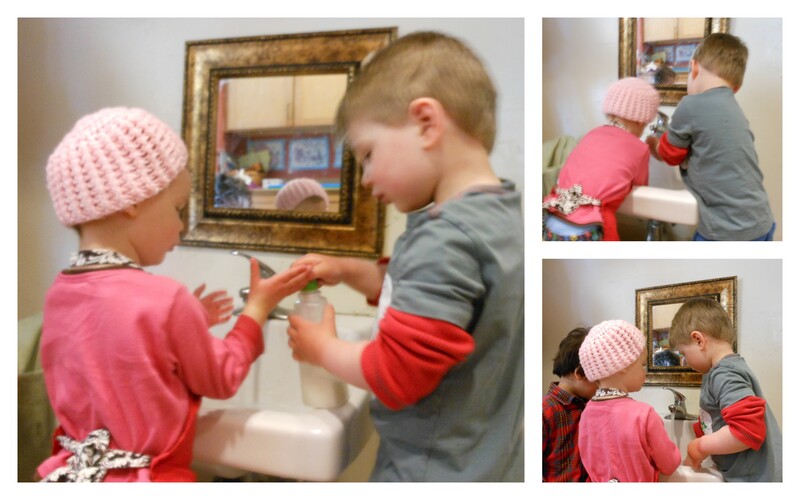 M. walks up to the sink to wash his hands, he finds S. there struggling to pump the soap. He very gently offers to help. Taking the soap container from her and prompting her to open her hand and pumps the soap into her hand. He then verbally guides her through washing her hands.